Nothing says late summer like a chilled bowl of refreshing Gazpacho! From August through September the garden behind the farmhouse at Brys Estate is bursting with fresh tomatoes, cucumber, basil, parsley, and peppers! 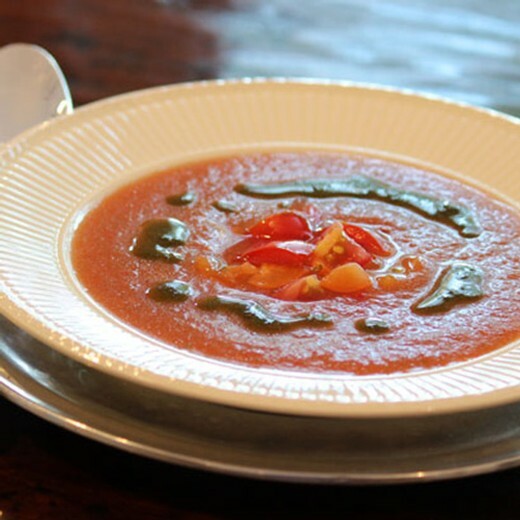 To address this abundance, this month I created a refreshing Heirloom Tomato Gazpacho which is a perfect starter to your summer dinner gatherings. 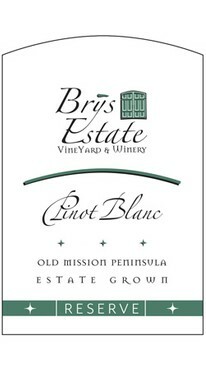 Serve this soup chilled with a cold glass of our Pinot Blanc and raise a toast to the bounty of summertime. Place the ingredients for the gazpacho in a food processor or blender and blend until smooth (Depending on the size of your food processor or blender it could take 2-3 batches). Stir the batches together in a large soup pot. Cover the gazpacho and place it in the refrigerator and allow it to set for a couple hours to overnight. The longer you let it set the more integrated the flavors will become. For the basil oil, add the basil, olive oil and salt to a mini food processor or blender and blend until smooth. Serve the gazpacho chilled, topped with a drizzle of basil oil and a spoonful of freshly diced Heirloom tomatoes.